It’s a touchy subject, a white man writing in the Jim Crow years just before the Second World War, to address his love for a “colored man” and show him the respect he deserved. But Harry Worcester Smith never shied away from showing Dolph Wheeler, his trainer and friend, his due. Ouch. Those terms, “darkey” and “colored man,” hurt our sensitive twenty-first- century ears, but bear with me, because Harry loved Dolph and in his monograph titled “The Death of Wheeler,” he is determined to tell the world, or at least anyone who reads his autobiography, all about his friend. Dolph Wheeler started out as a jockey for Father “Bill” Daly, the hard-driving “get on top and stay there” trainer and starter of many famous jockeys. Dolph “was a good man across country…steeplechasing was his forte,” Harry writes. “We would go into New York at the spring sale, pick up three or four two-year-olds, at $100 or $150 a piece, bring them to Worcester and have endless sport training them and finding out their value.” They hunted together around Barre, Massachusetts, and Dolph arranged everything at the many of the country fairs they attended and in which they exhibited: Barre, Sturbridge, Oxford, Uxbridge and Worcester Counties. 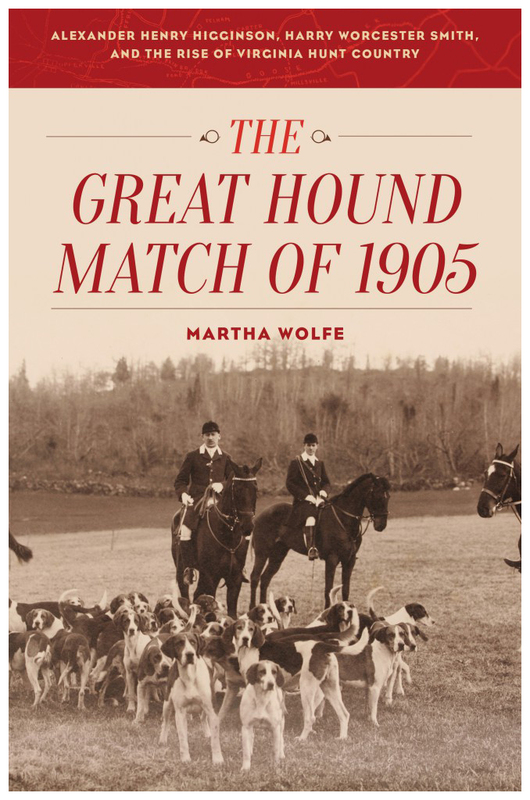 “He had hundreds of friends scattered all over the country.” Dolph accompanied Harry to Ireland in 1912-1913, the year Harry was master of the Westmeath Foxhounds. Harry brought to the funeral the cup that The Cad had won in the 1900 Champion Steeplechase at Morris Park, “and a number of trophies of stakes that Wheeler had trained the winners of.” He laid the cups and trophies around the coffin “and over that portion which was laid open, put my violet and white racing jacket and cap which the dead man loved so well.” A young woman named Martha sang ‘Nearer My God to Thee,’ “her breath making a mark on the frozen air.” Harry was asked to say a few words. Martha: Is the original “Death of Wheeler” monograph posted somewhere? Moving story. Hi Jon, Sorry for the late reply. This is the only thing I’ve written on the “Death of Wheeler.” The original manuscript is in the Harry Worcester Smith archive at the National Sporting Library.